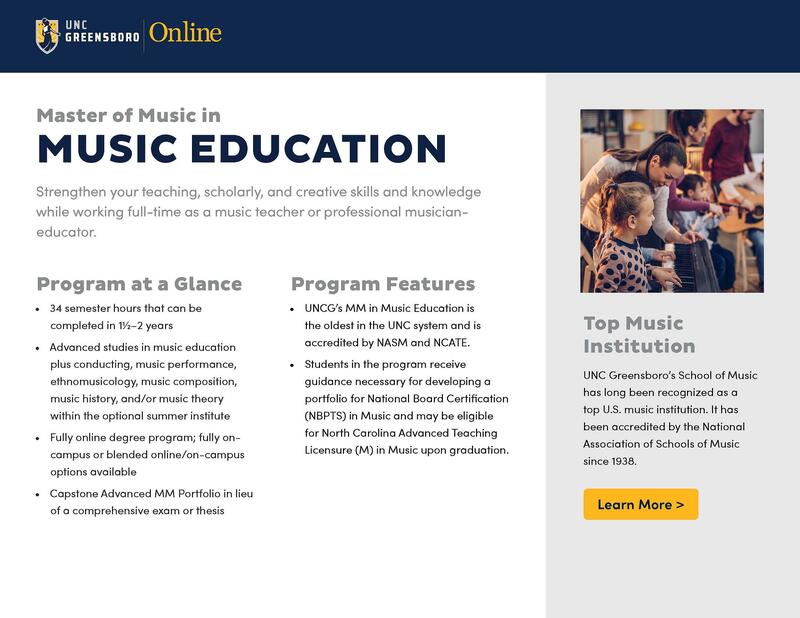 The online Master of Music in Music Education enables music teachers and professional musician-educators to strengthen their teaching, scholarly, and creative skills and knowledge while maintaining full-time employment. All the program details. All in one place. Ready for a closer look at the Master of Music in Music Education? Our brochure provides complete program details, admission deadlines, start dates, and graduation requirements.